Why didn't GM recall fire-prone Hummers earlier? As early as 2009, motorists reported fires in the Hummer H3. In a complaint filed that March with the regulatory agency in charge of vehicle safety, one motorist said they leaped into a smoldering vehicle and drove it away from gas pumps moments before it was engulfed in flames. Three months later, another motorist described how a fire spread from behind the glove box and consumed their H3. 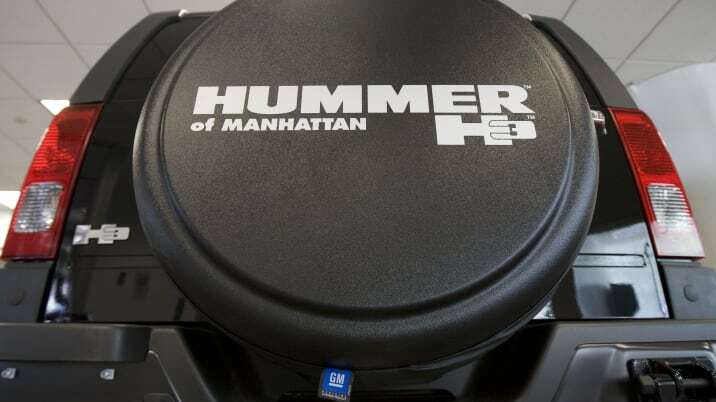 Dozens of car owners filed similar complaints with the National Highway Traffic Safety Administration in the six years that followed, detailing car fires of varying severity that originated in the HVAC systems of their Hummer H3s. But General Motors didn't issue a recall for any of the affected cars until last week, prompting fresh questions about how the company treats safety concerns in the wake of an ignition-switch flaw that went unaddressed for years and, at latest count, is responsible for killing at least 124 motorists. In recall documents filed with NHTSA last week, GM initially said it knew of three fires associated with the defect. Within hours, the company said it knew of 42 fires associated with the problem and three injuries sustained by vehicle occupants. A company spokesperson attributed the inconsistency to a "misstated" number in the original documents and that the higher number comes from NHTSA complaints, reports to GM and TREAD data. Beyond that discrepancy, the documents show General Motors, which has touted a revitalized attitude toward safety concerns since the ignition-switch recalls, did nothing upon determining there was a problem with the H3s. Prompted by two complaints the company received in September 2014, General Motors says it launched an internal investigation related to melting blowers in the HVAC system on December 8, 2014. In that investigation, the company says it confirmed a problem existed, finding that "mismatched electrical conductivity could result in overheating and melting of the blower motor connector module." But even with that conclusion, the company opted to close its internal investigation on April 29, 2015, without taking any action. It wasn't until NHTSA officials met with GM representatives in a meeting on June 18, 2015, that General Motors was prompted to reconsider. In the meeting to discuss safety topics – required monthly as a result of the consent order between GM and NHTSA agreed upon after the ignition-switch controversy – company officials learned the regulatory agency's Office of Defects Investigation had counted a higher number of complaints related to the H3 fires and was prepared to open a formal investigation, federal officials tell Autoblog. Within days, GM issued a recall for 196,379 vehicles in North America manufactured during the 2006 to 2010 model years. In its recall filing, GM explained its new decision this way: "NHTSA asked additional questions and directed GM to additional VOQs that appeared to be related to this issue." VOQ is the industry's shorthand for Vehicle Owner Questionnaire, more commonly known as the consumer complaints NHTSA collects. Asked what new information had been gathered that hadn't been previously available, a GM spokesperson did not respond to a request for comment Monday. The reliance on complaints as a reason for its reversal is noteworthy because motorists filed no known new complaints between the time GM decided to take no action in April and the time it reversed its recall decision in June. That is, the complaints that ostensibly caused alarm in June were the same ones that were met with no action in April. Collectively, they should have caused concern. Starting with the complaints in 2009 and continuing through February 2015, dozens of motorists, in complaints filed with NHTSA, implored General Motors to take action on what they viewed as a pressing safety matter. "I certainly hope they issue a recall before someone has a fatal incident," wrote one motorist on April 15, 2012. "This is an incredibly negligently designed circuit," wrote another on June 2, 2013. That motorist had experienced smoke in a previous incident and gotten the car fixed, only to have the problem recur. Only weeks after General Motors CEO Mary Barra first appeared before Congress to answer questions about the ignition-switch crisis, another motorist wrote about the H3s, "This needs to be a recall ASAP before someone dies in a fire." They also note the H3 fire problems were hardly a secret. In searching online for information about the fires, many motorists said they found dozens of more complaints and descriptions of problems on enthusiast websites like HummerForums.com. Dozens of complaints echo similar experiences with the fires, melting parts and failed repair attempts. In July 2011, a motorist wrote, "I don't feel at all safe with a situation like this." In June 2014, a motorist whose H3 went up in flames, noted the locks didn't work and their children, had then been in the rear seats, could have been trapped. And in August 2013, one summed up the frustration of many: "This is a fire hazard! Come on, GM!"